It seems the boxing world finally might be getting close to seeing the Mayweather-Pacquiao fight it has wanted for several years. Imagine how excited fans would be if this was still 2010. It seems the boxing world finally might be getting close to seeing the fight it has wanted for several years. Floyd Mayweather Jr. and Manny Pacquiao appear at least in theory to be working toward a deal that would have them step into a ring in Las Vegas this year. Imagine how excited fans would be if this was still 2010. Pacquiao is all-in on the bout, and with good reason. While Mayweather will make huge money no matter whom he decides to fight, Pacquiao probably needs Mayweather’s drawing power if he wants to truly cash in at this point. Reports indicate Pacquiao has agreed to terms and is waiting on Mayweather. But things may not be going well at the negotiating table if Pacquiao’s Twitter feed is any indication. He went on the social media site Tuesday in what appeared to be an effort to goad Mayweather into taking the fight. “I can easily beat Floyd Mayweather, I believe that,” Pacquiao posted. He wasn’t finished. Pacquiao laid out his case very simply. “If you really care about the fans, you will fight. If you care about yourself, you won’t fight,” he said in another tweet. A third posting went up a short time later predicting a fight with Mayweather would go in a similar way to one of Pacquiao’s biggest wins. “Everyone had me as a big underdog to Oscar de la Hoya, too. 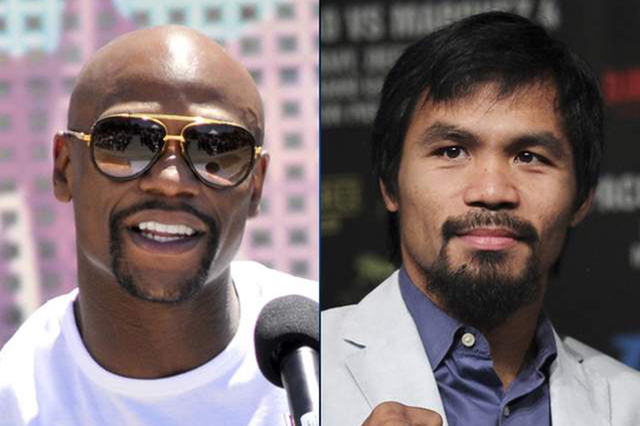 If Floyd Mayweather fights me, boxing will get an even bigger upset victory,” Pacquiao posted. It was a good effort by Pacquiao, but he should know Mayweather doesn’t care what anyone else says or thinks about him. Floyd does what Floyd wants. The champ told Sirius radio that it doesn’t matter what Pacquiao agrees to because he has no say in the matter. The Twitter posts may have gotten some attention, but if Pacquiao really wanted to get under Mayweather’s skin, he should have done it with audio. Everyone learned from New York hip-hop DJ Charlamagne Tha God last summer that Mayweather can’t read anyway.